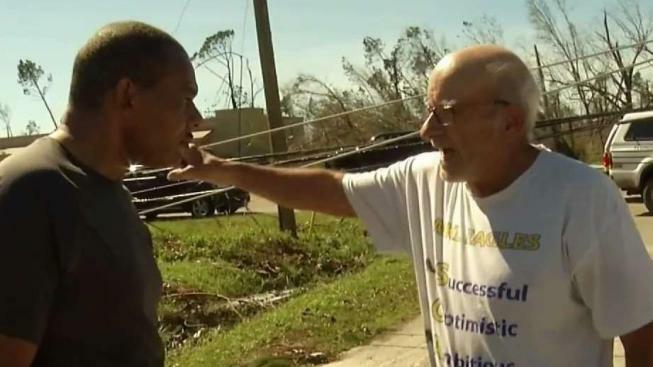 NBC 6's Willard Shepard reports from the Florida Panhandle, which faced significant destruction brought about by Hurricane Michael. 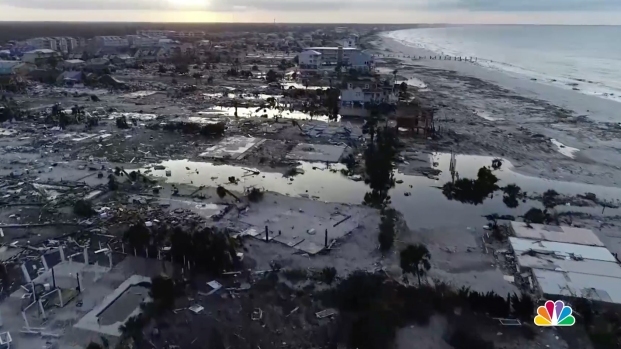 Search-and-rescue teams found at least one body in Mexico Beach, the ground-zero town nearly obliterated by Hurricane Michael, an official said Friday as the scale of the storm's fury became ever clearer. The death toll across the South stood at 14 including the victim discovered in Mexico Beach. Miami Fire Chief Joseph Zahralban, leader of a search-and-rescue unit that went into the flattened town, said: "We have one confirmed deceased and are working to determine if there are others." Zahralban said searchers were trying to determine if that person had been alone or was part of a family. Zahralban spoke as his team — which included a dog — was winding down its two-day search of Mexico Beach, the town of about 1,000 people that was nearly wiped off the map when Michael blew ashore there Wednesday with devastating 155 mph (249 kph) winds. Blocks and blocks of homes were demolished, reduced to splintered lumber or mere concrete slabs by the most powerful hurricane to hit the continental U.S. in nearly 50 years. State officials said that by one count, 285 people in Mexico Beach defied mandatory evacuation orders and stayed behind. Some of them successfully rode out the storm. It was unclear how many of the others might have gotten out at the last minute. Emergency officials said they have received thousands of calls asking about missing people. But with cellphone service out across vast swaths of the Florida Panhandle, officials said it is possible that some of those unaccounted for are safe and just haven't been able to contact friends or family. Across the ravaged region, meanwhile, authorities set up distribution centers to hand out food and water to victims. Some supplies were brought in by trucks, while others had to be delivered by helicopter because of debris still blocking roads. 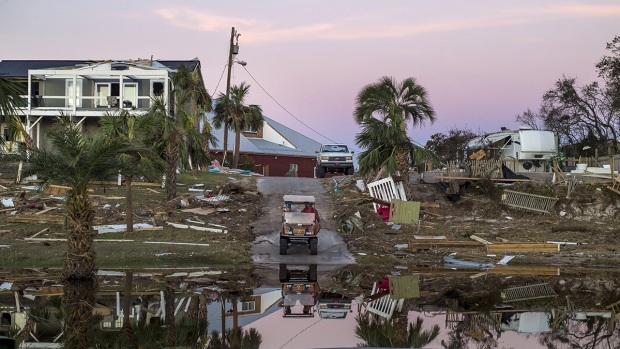 The deaths were spread throughout the storm's vast path, from Florida to Virginia, where at least five people drowned in flooding caused by Michael's rainy remnants. In North Carolina, a man and woman died after their car hit a large tree that had fallen across a road. Another man died when a tree fell on his car, Gov. Roy Cooper said. When she went back to the hotel where she took shelter from the storm, she found out she could no longer stay there either because of mold. "We've got to figure something out. We're starting from scratch, all of us," Plushnik said. Emergency officials said they had completed an initial "hasty search" of the stricken area, looking for the living or the dead, and had begun more careful inspections of thousands of ruined buildings. They said nearly 200 people had been rescued. Associated Press writers Jay Reevs, Tamara Lush, Gary Fineout, Terry Spencer, Jennifer Kay, Freida Frisaro, Jonathan Drew, Darlene Superville and Seth Borenstein contributed to this story.